Join us for a fascinating lecture on Islamic calligraphy, addressing the importance of the tradition for the religion, through an exploration of history, philosophy and artistic practice. Master Calligrapher Dr Nassar Mansour will explores the early development of Arabic calligraphy and its association with the Divine word of God, the Qur’an. The lecture will begin with an audio recitation by Qari Abdul Basit Surah of verses from the Quran. This will be transcribed in a calligraphy demonstration by Dr Mansour in Muhaqqaq, an archaic script predominately used for writing and copying the Quran until the 16th century. This lecture is part of the Bagri Foundation Open Programme at The Prince’s School of Traditional Arts, which aims to expand the Asian arts courses at The School. Dr Mansour is one of the most accomplished contemporary calligraphers in the Arab world. After studying Islamic Studies and Economics at the University of Jordan, he turned to Islamic art and calligraphy and in 2003 received a calligraphy diploma (ijaza) from the renowned Turkish master Hassan Çelebi. His PhD from The Prince’s School of Traditional Arts dedicated to Muhaqqaq script contributed to the revival of the script. 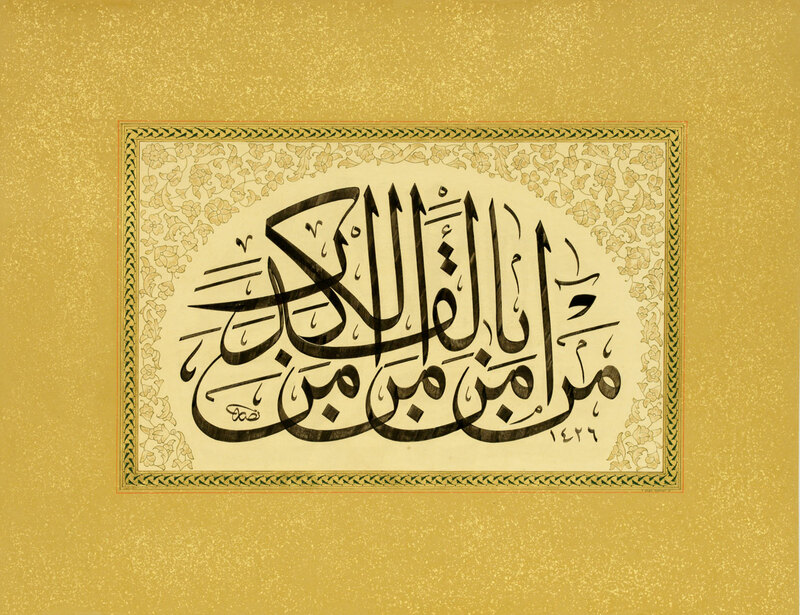 Nassar has exhibited his calligraphies widely and lectures on Arabic Calligraphy and Islamic Arts History at the Institute of Islamic Arts and Architecture and at the World Islamic Sciences and Education, Amman.